Telluride, Colorado is an old mining town that saw it's original hey day in the late 1800s. Nevertheless, even today, the quaint Victorian architecture is preserves and the town is known for its National Historic Landmark District. As a result of its location in the heart of the San Juan Mountains in southwest Colorado, it is an ideal region for year-round family vacations. See the most majestic vistas of the San Juan Mountains over some of the most rugged terrain in the USA! Join us on a fully supported multi-day road or mountain bike tour in the American West. All of our tours are both creative and challenging for all ability levels. Renting 2 and 4 door Jeep Wranglers to explore the trails of southwestern Colorado. 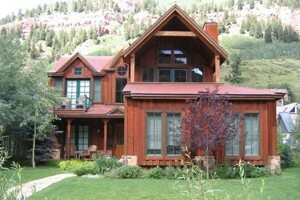 Ask about our lodging packages at the Ouray Riverside Inn and other discounts. Enjoy the snow covered trails of the San Juan and Uncompahgre National Forests behind a team of Alaskan huskies. A unique way to see the area and learn about mushing. Because of its 1,700 acres of excellent ski terrain, Telluride probably best known for it winter sports. 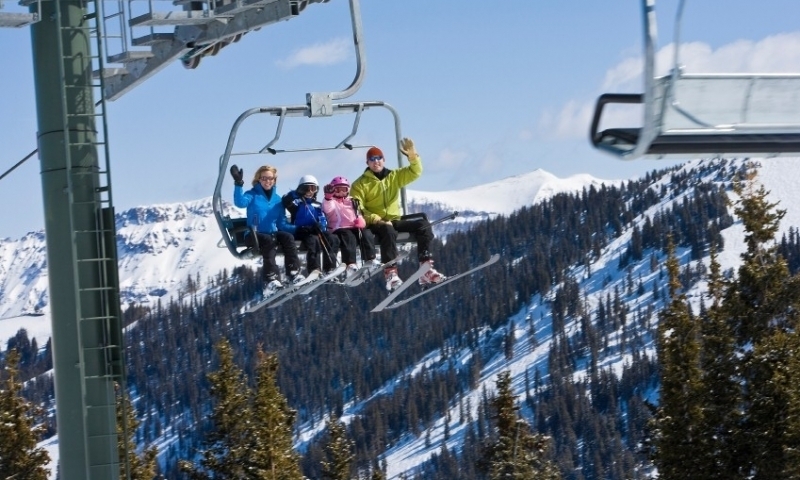 In addition to skiing, families who vacation in Telluride in the Winter can enjoy Nordic skiing, dog sledding, snowboarding, sleigh rides, snowmobiling, ice climbing, heli-skiing, snow biking, ice skating, sledding and more. Andin the summer, the area is a Mecca for festivals of music, food and others. In the summer, the members of your family can enjoy mountain biking, camping, kayaking, river rafting, rock climbing, golfing and hiking, and may more activities. The variety of activities, and the friendliness of the area, makes Telluride the ideal family vacation destination. All year round, the family can enjoy such pastimes as paragliding, fly-fishing, fine dining, wildlife watching, etc. 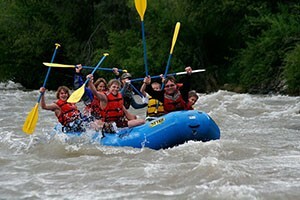 Telluride is a great place to bring the family to spend some quality, fun, active time together.